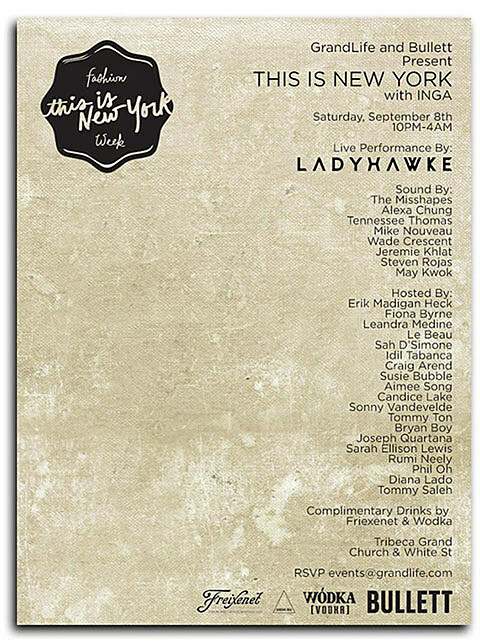 As mentioned, Ladyhawke is one of the many musicians who will be in NYC tonight (9/6) for Fashion’s NIght Out. She’ll DJ Allsaints Soho from 6-9 PM (512 Broadway) with Mick Rock. Tonight’s show falls right before her tour in support of her new album, Anxiety. 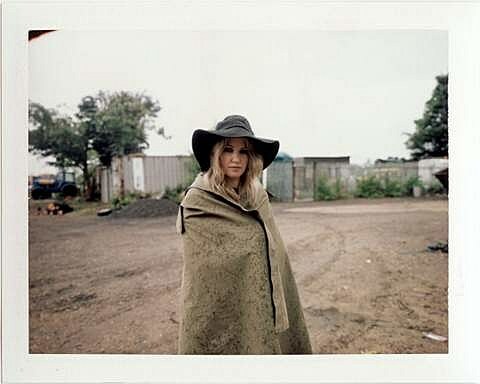 That tour kicks off in NYC on Saturday (9/8) at Bowery Ballroom (tickets) and immediately afterwards she’ll play a second show that same night in NYC for a Fashion Week party hosted by INGA and Bullet Magazine at the Tribeca Grand Hotel. That party runs from 10 PM to 4 AM and is free with RSVP. The flier for this show is below. In celebration of the Tribeca Grand show, Ladyhawke released a Jump Up remix of her song “Black White And Blue Punks.” She was also recently remixed by Jacques Renault for her song “Blue Eyes.” You can download both songs above, or stream them, along with the show flier and a list of all tour dates, below.